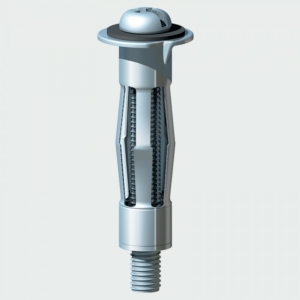 Metal cavity anchors for soft faced hollow cavity walls and panels such as plasterboard. They have a combination head screw to accept both slot and cross recess screwdrivers. They are zinc plated and have two anti-rotation teeth. Ideal for hanging radiators, brackets, handrails and shelving units. When installing multiple anchors a setting tool is recommended.